It seems mobile watch got a hands-on on the much awaited Spice Horizon Mi-500 handset. It is dual core 1GHz which is confirmed with a 5 inch screen, the price however is still not known. Based on the images that the Mobile Watch guys have taken, it looks like any other 5 inch phone (800×480 pixels resolution) but what I noticed from one of the image is that it seems bulky. 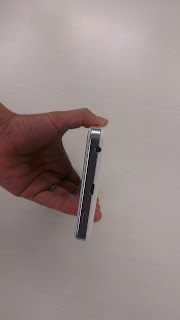 It doesn’t looks slim and the finishing looks kind of odd – Check the image below. On the front side it has 3 dedicated buttons and the whole area is assigned for the touchscreen panel. The Spice Mi-425 is with 512MB RAM, 4GB internal storage, dual SIM support with dual standby. Rest features are similar to what Micromax A100 has. There is a 5 MP auto focus camera on rear side which is kind of disappointing as the dual core handset possibly with MediaTek MT6577 chipset does support higher specs. But anyway this should help reduce the cost factor. There is a front camera too. Also on the rear side there is dual LED flash as clearly seen in the image. As per details on the Mobile watch site the Mi-500 will house a 2400 mAh battery which should get the handset running for a longer time. Other features like GPS, Tethering / hotspot , FM radio are included. There is the accelerometer, light and proximity sensors. Original Image Mobile Watch. As you can see the handset does not look slim and the power button is placed in the center of the silver band where as the 3.5mm jack and the micro USB ports are just touching the white area, it doesn’t give a good impression. I expect the handset to be made available in the market with 2 weeks or earlier. I also believe the pricing will be under Rs. 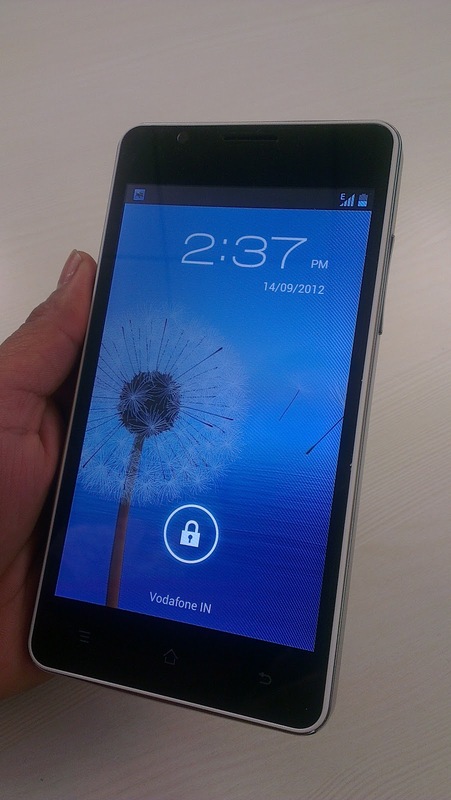 15,000 (my estimates between 11K to 12K – a little more than what Micromax A100 is offering). As you all know that there is a shortage of A100 and rumors say they have stopped production of A100. I don’t think that is the case, but Micromax may be going slow with A100, probably closely watching the developments made by Spice (the price factor) and then come out with their dual core version or a better priced (lower) A100 single core if need be. Well that’s it for the Mi-500, stay tuned for more.